Easy to install and easy to pair with the Garmin. Works straight out of the box. So far have ridden the unit 5 times and power readings were consistent without and drop in the readings. 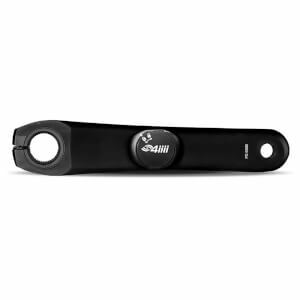 Great price on a 4iiii Ultegra left crank arm power meter. Easy to install and pair with a Wahoo Bolt. Simple, quick pre-ride calibrations. Consistent readings on tarmac and gravel. Smallest and lightest sensor of all left crank arm power meters. If you want basic power data during and after your rides, this product is hard to beat. This has totally changed my winter training. I can target specific training both indoors and outdoors. Easy to fit and set up. I have been using a PowerPod power meter and, while it works fine, I became frustrated with it turning off when I stopped for coffee and then sometimes not being recognized by my Lezyne GPS computer so decided to try the 4iii. 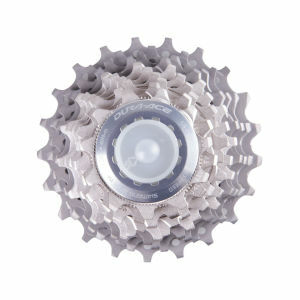 I ordered the Ultegra 6800 version despite having an Ultegra R8000 chainset simply because it was cheaper. Installed easily. Recognized and paired first go by my GPS computer. Power readings somewhat more stable then the Powerpod (although overall power readings appear to be similar). The 4iii turns on quickly after a coffee/lunch break (unlike the PowerPod). I might miss playing with the Isaac software that comes with the Powerpod, but overall the 4iii fits my needs better. Recommended. Whilst I don't own 2 cars or even one I'm happy to now have two power meters; one on my race /TT bike and one on my road bike. I've been using a Stages device which is still too expensive to replicate but this 4iiii unit is very similar and seems to give comparable readings but is much cheaper. It's on exactly the same crank model and was as easy to 'pair' as indicated to my Garmin head unit - I wasn't completely sure if there would be any conflict having 2 power meters added but it all works fine. I'm very pleased with it. The free next day delivery (Sunday) was rather good especially as the courier turned up to deliver it on a bike! - I was most impressed by that. got this from pbk whilst on sale, bang for the buck! Love the stealth look. 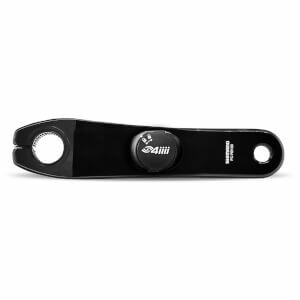 No more annoying rubbers from cadence sensor hanging of the crankarm, because this power meter comes with its own cadence sensor. get it while you can! Works exactly as describes, mounts easily on both my bikes and provides accurate power data. As is similar to most people who have reviewed these PM's I have been considering a crank based PM for a while. More than likely spent far too much time researching on the internet than is healthy! Anyway took the leap with this, and I am very happy with my purchase so far. I contacted PBK to ask if it would fit my bike after it failed the 'fit test'. They were not sure, and 4iiii disnt seem to think it would. Took a gamble, and it fits my giant advanced sl 2016, result. I have emailed 4iiii as a result to question the test! The PBK staff were very helpful (mainly Peter) and said I could return it if no joy. So after 2 weeks it has been easy to set up, easy to use and provides regular power measures. I am not sure how accurate vs other as I have no experience with them. I think this is great value vs another crank PM, but again no experience and its early days yet so lets see if it continues. The app set is easy to use, only downside is you have to zero each time you go for a ride, but at least you know its right and it takes 2 mins. I can swap between my 2 bikes easily too. So overall, would I recommend, definitely so far yes I would, but I have only had it for 2 weeks so there is no long term usage, reliability info I can give. Fingers crossed it continues, as it is really helping structure my training and ride efforts better through my 520 garmin. This was the best value power meter I could find. Easy to install on my existing Shimano setup. Can keep my existing pedals that I like. Having the numbers from the meter I can now really focus my training and see if my FTP is improving as a result. Would be 5* but the rubber o-ring on the battery compartment was missing. I have contact the 4iiii support who are being a bit slow in sorting it out. So it is only suitable for going out in the dry at the moment. You get a spare battery which is a nice touch and really easy to swap when the time comes. So overall I am happy with my purchase and feel I made the right choice. One year ago I wanted to acquire Stages power meter. But price was too high for me. And I was waiting for something cheaper, but with high quality and precision. 4iii Precision 2.0 3D power meter matched all my requirements in theory, and now in practice. I'm very satisfied with this product. Sometimes long waiting rewards!